Official Forums for game series - not longer available. Can be redeemed on Origin through the EA Support. Bundled with Command & Conquer: The Ultimate Collection. An unofficial patch that provides a slight enhancement to the default launchers provided with the Origin release (fixes registry entries and allows command line arguments to function properly). It can be downloaded from the developer's site. 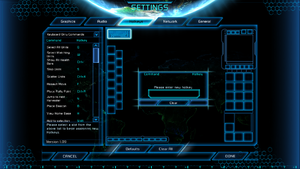 The Tiberium Essence offers an alternative gameplay to Tiberian Wars involving many Tiberian Sun units which were missing in vanilla CNC3 and including units which you can't find anywhere else. Story is similar to Tiberian Wars, but is all about what if GDI and Nod didn't abandon technologies they have used in Tiberian Sun era and instead of that further developed them. There are many visual, sound and balance changes, new sounds, new music, new effects (like blood and gore, new infantry deaths, new more realistic missile trails) and many more. 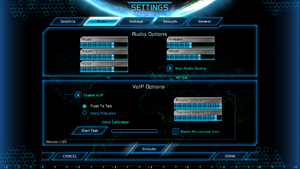 Mideast Crisis 2 (MEC2) is a total conversion for 'Command and Conquer 3 - Tiberium Wars' set in the near future, letting you use modern technology (such as the Abrams, F-35 and Hind) alongside future technology (such as Drones, Airships and Medibots) in a conflict ranging from Jerusalem to Beirut. C&C:3: The Forgotten aims to bring back and tell the story of a fascinating faction. The Forgotten, featured in Tiberian Sun and Firestorm, are an ever-growing group of individuals afflicted with Tiberium-based illnesses. Detested, marginalized, and oppressed by the three superpowers, The Forgotten have begun to rally against GDI, Nod, and the Scrin. Since their story is not featured in C&C 3, the mod aims to tell it in a compelling fashion, through a deep singleplayer campaign, unique faction composition, and engaging gameplay. The Forgotten is also the only mod to feature high-definition Full Motion Videos, just like real C&C games, that advance the story. 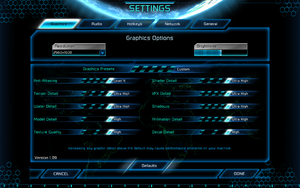 Too many graphics mods using too much of the game's memory can cause it to crash by going over the 4 GB limit set by the 32-bit executable. Proceed with much caution whenever using hook based graphics mods. Only possible through The Ultimate Collection version. For unsupported resolutions see Widescreen resolution. Most resolutions are supported natively, but some (such as 1280x768) are not. 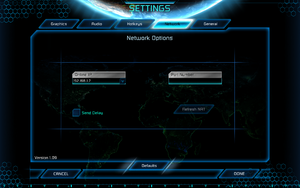 If your preferred resolution is not supported natively, then you'll need to edit options.ini. Edit it to set your resolution. Censored and uncensored versions exist. The Tiberium Wars Kane Edition is uncensored. 8 Official services have been shut down in 2014. The fan-run C&C:Online is currently the de facto service. Select the My Games tab in Origin. 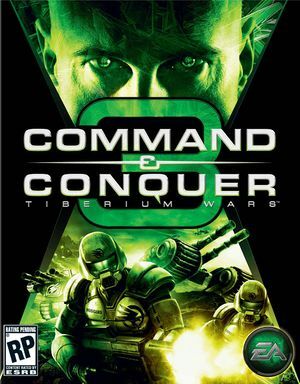 Right-click Command & Conquer 3: Tiberium Wars/Kane's Wrath and select "Game Properties". 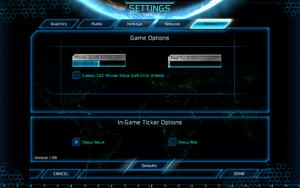 Check the "Disable Origin in Game for this game" option. Change the value after the equal sign to either Medium, High or UltraHigh. Possible values are UltraHigh, High, Medium, Low or VeryLow. Note that increasing this value also restores some missing in-game visual effects such as the heat distortion from thruster exhaust of vehicles. GameSpy Shut down in 2014. ↑ 1.0 1.1 File/folder structure within this directory reflects the path(s) listed for Windows and/or Steam game data (use Wine regedit to access Windows registry paths). Games with Steam Cloud support may store data in ~/.steam/steam/userdata/<user-id>/24790/ in addition to or instead of this directory. The app ID (24790) may differ in some cases. Treat backslashes as forward slashes. See the glossary page for details. This page was last edited on 12 April 2019, at 18:40.